Excited to head back to my alma mater for the Management Science & Engineering reunion. My old professor Dr. Sutton will be speaking on the topic of scaling. The book, Scaling Up Excellence, that he wrote with Huggy Rao is excellent. I’ve been giving copies to friends and co-workers like they are candy. 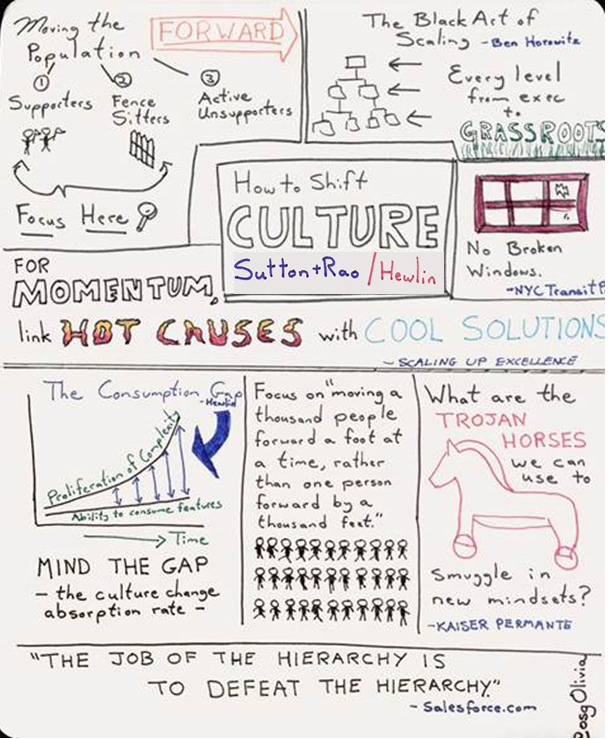 Here are my favorite points from the book along with a little doodle from a talk by Todd Hewlin on consumption of change in a company.